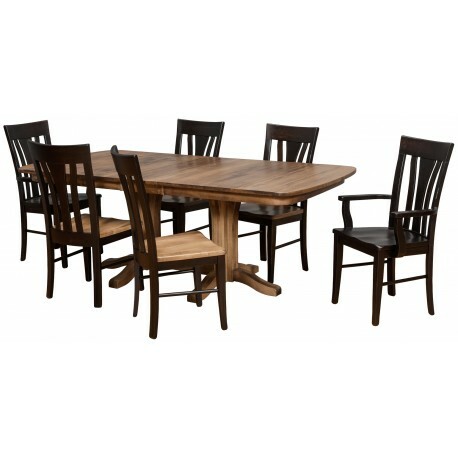 The Millsdale Dining Group with Double Pedestal Table by Daniel's Amish Furniture is constructed from sturdy North American hardwoods, is truly built to last a lifetime. We use the finest catalyzed varnish topcoat to protect your furniture from water and other household products. And we're so confident in our quality that we back this up with limited lifetime warranties on the most important major components.